Spring Up Deals 2018 – DieselCaptain™ | Join the Raffle! Don’t miss out on these special offers, be equipped this spring! Specials include diesel refueling units, diesel transport tanks, spot and field sprayers, fire fighting trailers and more! 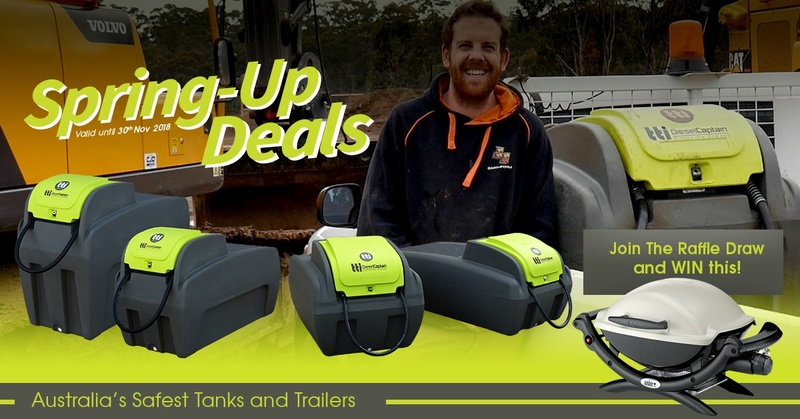 Download the 2018 Spring Up Deals for your chance to win a 1 of 2 Weber Grills valued $300 in the raffle draw – to be announced on 30th November! By adding a 5-digit flow meter in your DieselCaptain™ refuelling unit, you’ll save $219!